Is Wayne Brady Gonna Have To Have A Breakdown? Man, I love me some Wayne Brady. Like most people, I first became aware of Brady through the American version of Whose Line Is It Anyway? several years ago. The man was just seriously funny. Later on, I couldn’t help but laugh as I watched him terrorize Dave Chappelle during a fictionalized night on the town on Chappelle’s Show. 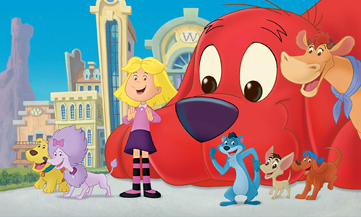 Heck, I even liked hearing him voice Shackelford, the selfish ferret in Clifford’s Really Big Movie. What I could never figure out, though, was why this guy didn’t just own Hollywood. I mean, everyone seemed to like him, he could improvise, he could act, he could sing… Why was he doing silly things like hosting a new version of Let’s Make a Deal? A recurring guest spot on How I Met Your Mother? Why didn’t this guy have his own show? Better yet, why didn’t this guy have his own movie? I just didn’t get it. I don’t know if I understand it any better today, but I may have something of a clue now. Wayne Brady – funny, likable Wayne Brady – suffers from depression. Since I’m still technically on vacation and typed way more words than I meant to last night, tonight I’m going to share this engaging and eye-opening piece Entertainment Tonight recently posted to its website. In it, Brady opens up about many feelings I’ve had myself over the years. I’ll be on the road again tomorrow, so I won’t be posting anything again until Thursday. In the meantime, check out this link. It’s interesting stuff. Chappelle's Show, Clifford's Really Big Movie, Dave Chappelle, depression, Entertainment Tonight, Hollywood, How I Met Your Mother, Let's Make a Deal, Shackelford, Wayne Brady, Whose Line Is It Anyway?